That moment on Breaking Bad Season 4 Final episode where Gustavo walks out after the explosion like nothing happened and then they throw his face at you hella fast and you’re like how is he alive? What? 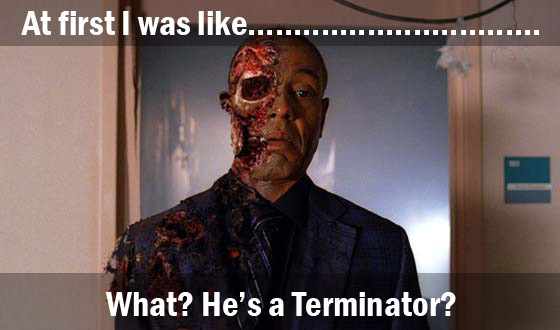 He’s a Terminator? That’s dumb. Oh I should have said spoiler alert huh? Breaking Bad Season 4 Spoiler Alert!